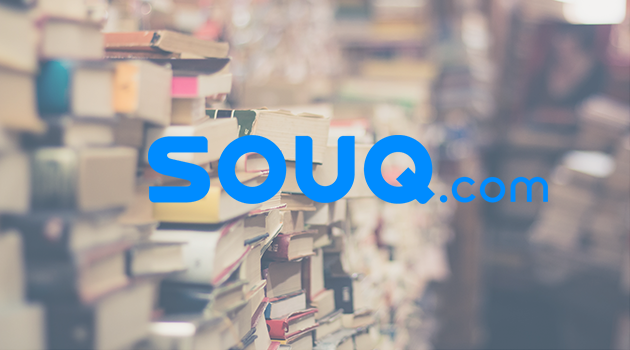 Souq.com, the largest ecommerce portal in MENA has launched the Global Bookstore with more than 6 million titles taking on Jamalon, currently the largest online retailer for books in the region. Its the first big announcement coming out of Dubai HQ of region’s first unicorn after the rumors of a possible Amazon acquisition died. We look forward to cooperating with national organizations concerned with reading and knowledge mainly Mohammed Bin Rashid Al Maktoum Foundation and Dubai e-Library. We are aligned with the UAE’s National Reading initiative and this category expansion comes at an interesting time when we are witnessing new momentum in the culture of reading across the region. This initiative will make books more accessible to people in the region. Souq.com is an empowerment brand and we are constantly expanding our portfolio of products as well as categories to allow our merchants to grow as well as enable our customers to make smarter choices. We are committed to our vision of connecting people with innovative products, incredible deals and ground-breaking technology to provide exceptional service and make the online shopping experience as seamless as possible. The books category is an exciting inclusion and a step further towards completing the purchase cart of a customer on Souq.com. It seems that the bookstore is currently available in UAE only as most of the books we tried to buy cannot be shipped to Saudi. The prices seem fair and in most cases less those at Jamalon but we’ll have to wait a bit more to be able to conduct a fair comparison. But as of now, it seems that Jamalon has the a very big collection of Arabic books and Souq.com is no way near it. For English titles however, it looks like a different story with Souq.com definitely leading the way. With Noon also launching soon, the things are definitely heating up in the ecommerce space of the region which is obviously a good news for the consumer.